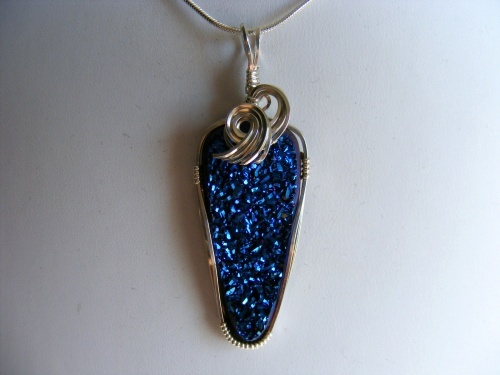 This beautiful Titanium Druzy of deep blue is so sparkly and unimagenably striking. It is sculpted in sterling silver wire curls to make the colors pop. Piece comes with a sterling silver snake chain.